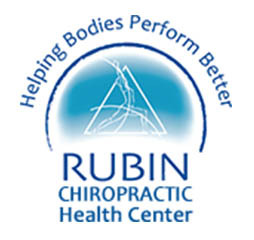 Chiropractor for Children in St Petersburg FL is available at the The Rubin Health Clinic. Will children benefit from chiropractic care? Bones in children are affected by outside physical stresses and correct joint motion is need to distribute these forces for the best bone development. At times when skeletal growth becomes faster, known as Growth Spurts, balance in the muscles and joints is important. The Chiropractors at The Rubin Health Center will help with structural restrictions or imbalances in your child during this crucial time. Chiropractic adjustments will also ensure the best nervous system functions, which will contribute to your child’s health is amazing ways. 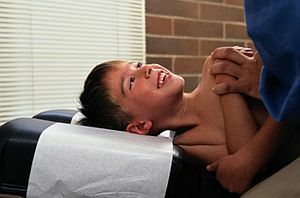 There have been large research studies verifying the safety of chiropractic care for children. Chiropractors have helped children to live healthier lives for over 100 year, and have taken extensive studies and clinics to advance their care for children. Your children will enjoy the attention of a chiropractor just as much as you do. Are chiropractic treatments the same for Children? Generally, children respond much faster to chiropractic care than adults do. They have not subjected their bodies to the same years of abuse that we have and there are many childhood problems that are often not cared for that will cause them to suffer later in life, such as lack of proper care for sports injuries. At what age can children begin to benefit from chiropractic care? It’s never too early to bring your child to a chiropractor. Children will benefit from chiropractic care at any age or stage of development. Do chiropractors for children need special training ? Chiropractors receive pediatric training as part of their core curriculum in Chiropractic College while earning their doctors degree. Chiropractors have treated infants and children for over 100 years. We hope this has answered your questions, but feel free to call us at (727) 822-1555 or contact us anytime and we’ll answer all your questions about Chiropractic care for children in St Petersburg Fl.